Having a capable phone system is essential for a growing business. Fully-featured VoIP solutions from QuestingHound Technology Partners are able to offer your business major cost-benefits since it utilizes your Internet connection for all of your organization's communication needs. One of the most noticeable advantages that our VoIP system can offer a business like yours, is the incomparable savings you’ll see. In fact, you can see a cost reduction of up to 70% off your current phone bill. 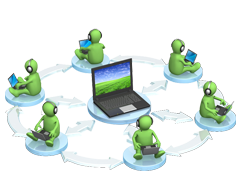 In this way, our VoIP solution pays for itself. For more information about how QuestingHound Technology Partners' VoIP solution can save your organization money and improve communications across the board, give us a call at 954-727-2200.